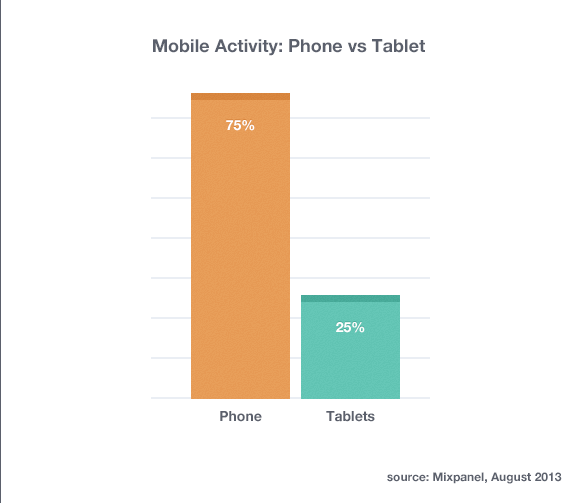 If you read any of the popular tech sites with any regularity they are all screaming “mobile, mobile, mobile” in fact we are also always reporting that mobile is exploding. Because it is. It’s no mistake the opportunity for developers in mobile is there, it’s the hottest space in tech right now. Revenue supports the fact that you should be developing for tablets. Last week we reported that tablet and smartphone revenue was bigger than the entire consumer electronics market. 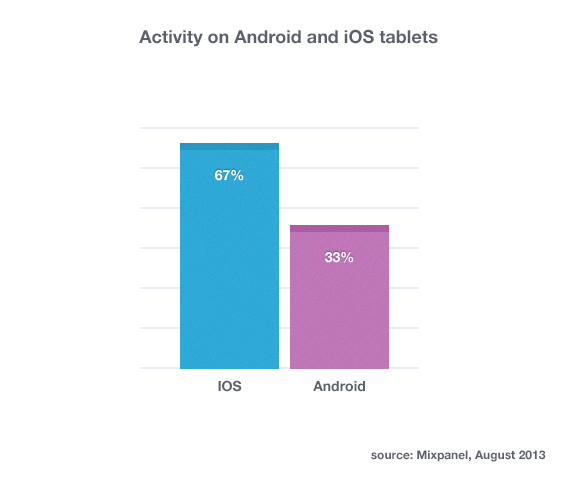 This data was backed by hard sales figures so at first look there is huge opportunity in the tablet space as well. MixPanel says that the smartphoen is a Swiss Army Knife and that it’s dominating in terms of mobile usage but they also say that the opportunity with tablets is too large to be ignored. More importantly there are several sectors that definitely need to develop for tablets. While people are using their smartphones for everything under the sun people turn to tablets for gaming, social, education and e-commerce. 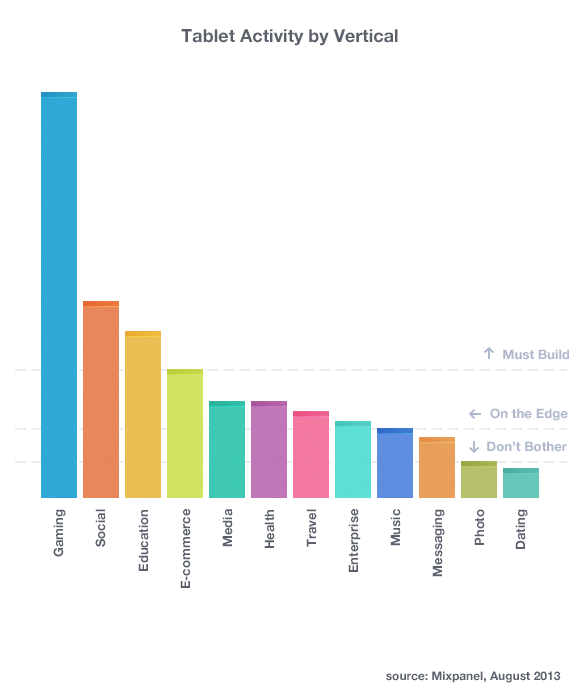 All four of those categories MixPanel reports are must builds for developers to build for tablets. Media, health, travel, enterprise, and music apps and companies should definitely consider building for tablets. Not as good as Pandora!